Don’t you love bodybuilders? Who doesn’t? I have always been fascinated with them. The concept of eating protein every two hours, lifting weights for three hours a day, shaving every body part, spray tanning, and posing in tiny gold trunks is amazing to me. Not to mention the amazing muscles. What dedication! After watching a bodybuilding competition on television (guilty as charged), I noticed the link between bodybuilding and theatre. So I realized the second Nicky and Noah mystery would take place in the Bodybuilding Department at Treemeadow College. If you haven’t read Drama Queen (and you should! ), the Nicky and Noah mysteries are set in an Edwardian style university founded originally by a gay couple (Tree and Meadow) whose name the university bears: Treemeadow College. It is a gay cozy mystery comedy series, meaning the setting is warm and cozy, the clues and murders (and laughs) come fast and furious, there are enough plot twists and turns and a surprise ending to keep the pages turning, and at the center is a touching gay romance between Associate Professor of Directing Nicky Abbondanza (the amateur sleuth whose heart is as big as his manhood) and Assistant Professor of Acting gorgeous Noah Oliver. 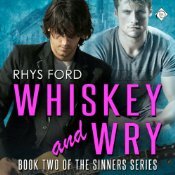 Along the way, Nicky and Noah fall in love, as I’ve heard the readers fall in love with them. For most of my life I’ve read cozy mystery novels. Though full of murder and mayhem, they always made me smile, challenged my brain, and relaxed me. What could be better than a brain-teasing puzzle taking place in a comfortable environment with lots of gay people? Like an Agatha Christie novel, the mystery is the central focus with red herrings and inversions leading to a satisfying conclusion. 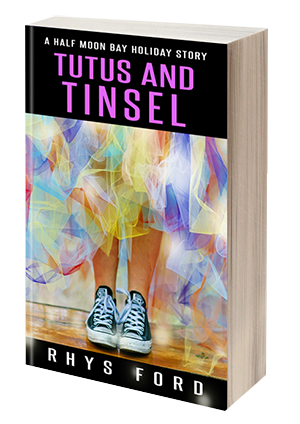 As in an Armistead Maupin novel, the characters are wacky, surprising, and endearing. In the first novel, it is winter, so white snow, cherry wood mantels surrounding blazing fireplaces, and hot chocolate are in abundance. In the second book, it is fall, so gorgeous leaves of amber, violet, and scarlet blanket the campus. The third book (Drama Cruise not yet published) takes us on cruise to Alaska for sights of glaciers and whales while Nicky directs a murder mystery dinner theatre show onboard ship. In each book Nicky and Noah eavesdrop, seduce, role play, and finally trap the murderer, as pandemonium, hilarity, and true love ensue for a happily ever after ending—until the next book. Reviewers called Drama Queen “hysterically funny farce,” “Murder She Wrote meets Hart to Hart meets The Hardy Boys,” “a captivating whodunit,” and “the funniest book of the year.” Who am I to argue? In Drama Queen college theatre professors were dropping like stage curtains and amateur sleuths/college theatre professors Nicky and Noah had to use their theatre skills, including impersonating other people, to figure out whodunit. When the ebook reached #18 on the Amazon bestsellers list in its category and the paperback and audiobook (with all twenty-four roles played by Michael Gilboe) sold like tickets to Phantom of the Opera after the Tony Awards, it was time for another Nicky and Noah mystery. 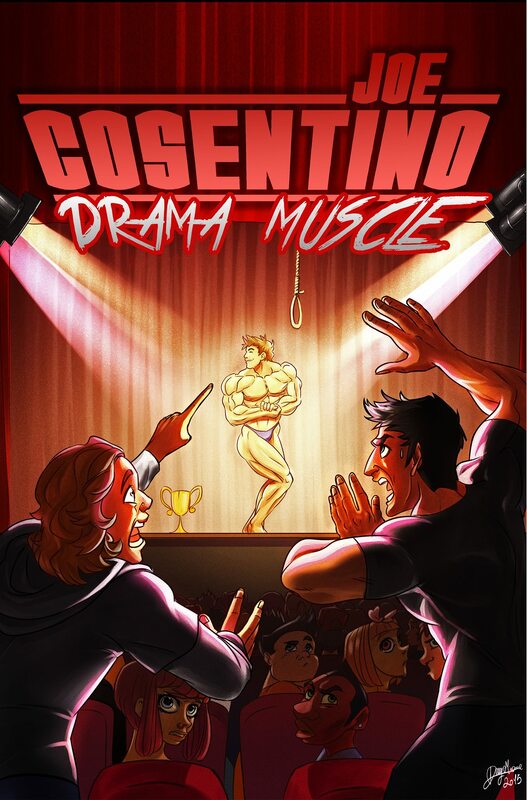 In the current novel, Drama Muscle, Nicky and Noah don their gay Holmes and Watson personas again to find out who is murdering musclemen in the Physical Education Department. Since I work out every day (yet see very little results!) and am enamored of the real bodybuilders who are so big they don’t even need to iron their shirts, Drama Muscle holds a special place in my heart. In the novel Nicky is directing bodybuilding students in Treemeadow College’s annual Bodybuilding competition on campus. Bodybuilding students and faculty drop faster than barbells until Nicky figures out the identity of the murderer, as well as Noah’s secret revolving around Van Granite, one of the bodybuilding professors. Noah’s hysterically funny parents visit from Wisconsin and are drawn into the action, and Nicky and Noah reach a milestone by the end of the novel. As a college professor/department head, I have always been aware that colleges are rife with mystery, romance, and humor. It is my joy and pleasure to share these stories with you. So take your front row seat. The curtain is going up on young bodybuilders at Treemeadow College. Lights (and weights) up! And let me know what you think at http://www.JoeCosentino.weebly.com! Amazon Bestselling author Joe Cosentino wrote Drama Queen and Drama Muscle Nicky and Noah mysteries (Lethe Press), An Infatuation, A Shooting Star, A Home for the Holidays, The Naked Prince and Other Tales from Fairyland (Dreamspinner Press), Cozzi Cove: Bouncing Back (Nine Star Press), Paper Doll (Whiskey Creek Press) and Porcelain Doll (Wild Rose Press) Jana Lane mysteries, and The Nutcracker and the Mouse King (Eldridge Plays and Musicals). He has appeared in principal acting roles in film, television, and theatre, opposite stars such as Bruce Willis, Rosie O’Donnell, Nathan Lane, Holland Taylor, and Jason Robards. His one-act plays, Infatuation and Neighbor, were performed in New York City. He wrote The Perils of Pauline educational film (Prentice Hall Publishers). Joe is currently Head of the Department/Professor at a college in upstate New York, and is happily married. His upcoming novels are Drama Cruise Nicky and Noah mystery (Lethe Press), Satin Doll and China Doll Jana Lane mysteries (Wild Rose Press), and Cozzi Cove: Moving Forward (Nine Star Press). Oh, I am totally going to check those out! Sounds like fun!